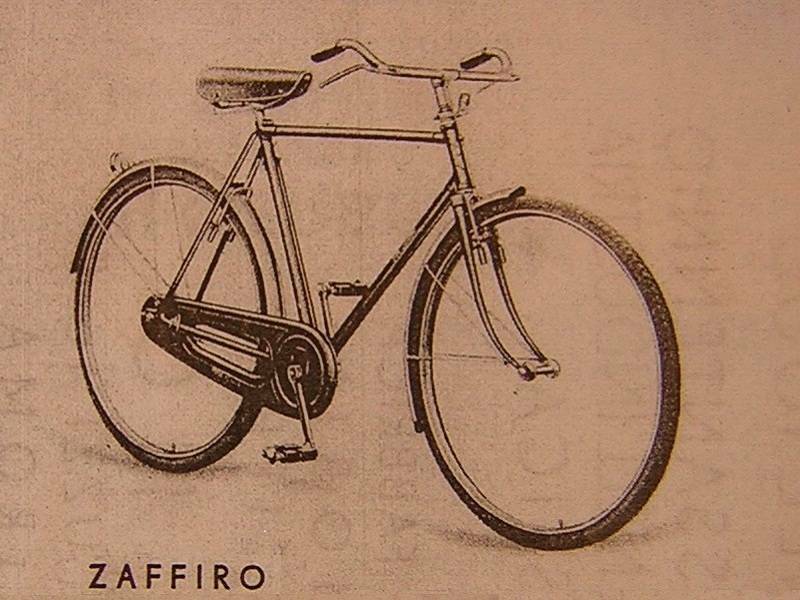 Here's an old Italian classic by Bianchi called the 'Zaffiro'. The word 'Zaffiro' can be translated to 'sapphire' in English which is the name given to a valuable blue gemstone that represents wisdom and royalty. 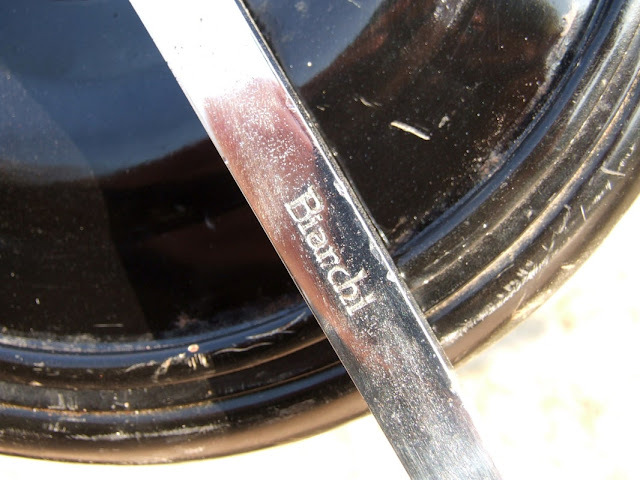 The sapphire has often been considered as the gem of all gemstones. 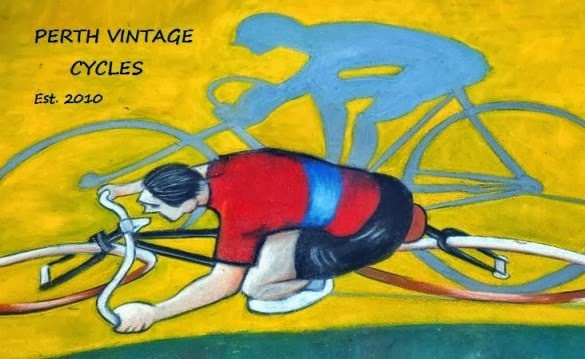 A very popular town bicycle in Italy and throughout Europe during the 1940's and 1950's, the Bianchi Zaffiro model came only in black or Bianchi Celeste blue. 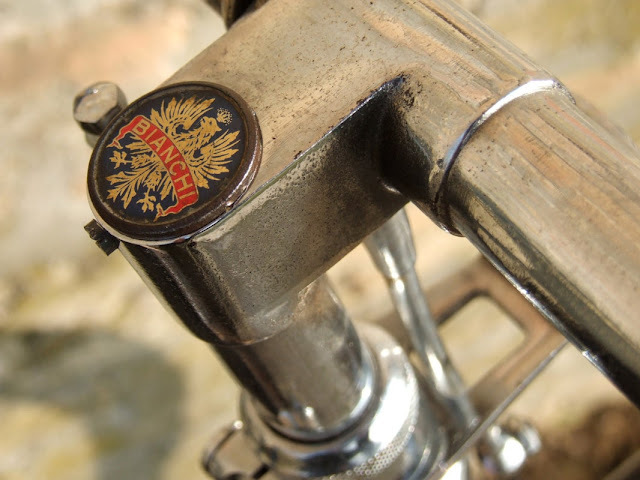 Badge on the head tube. 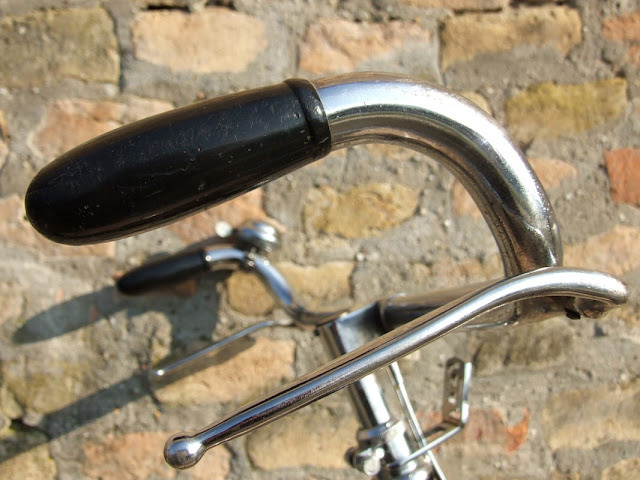 This 1949 model came with Bianchi's own branded hubs, crankset, handlebars and headset. 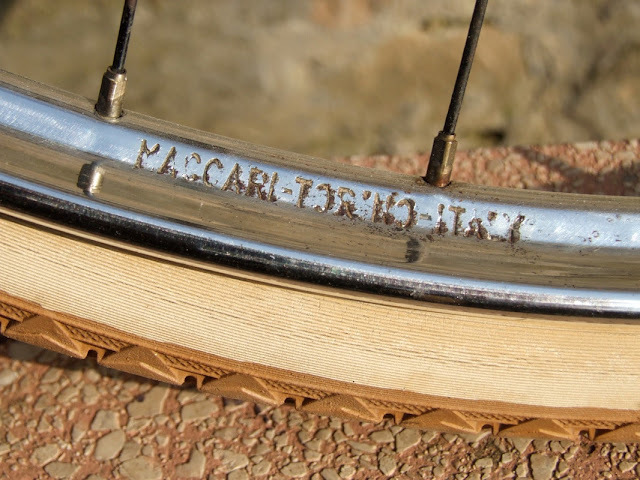 The 28 x 1 5/8 chrome rims were made by Maccari (Torino) and the freewheel and chain were manufactured by Regina. 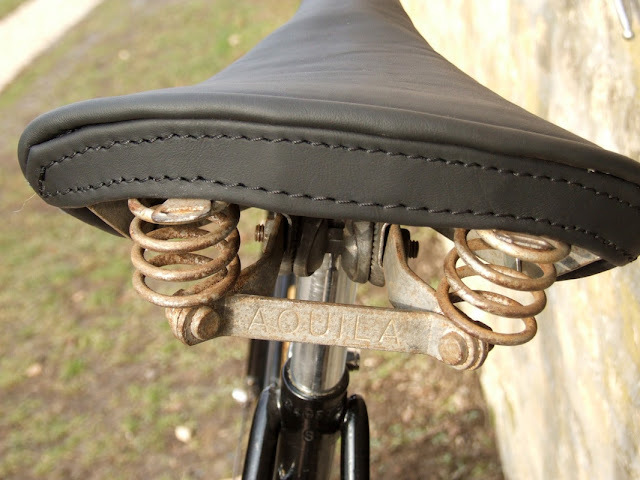 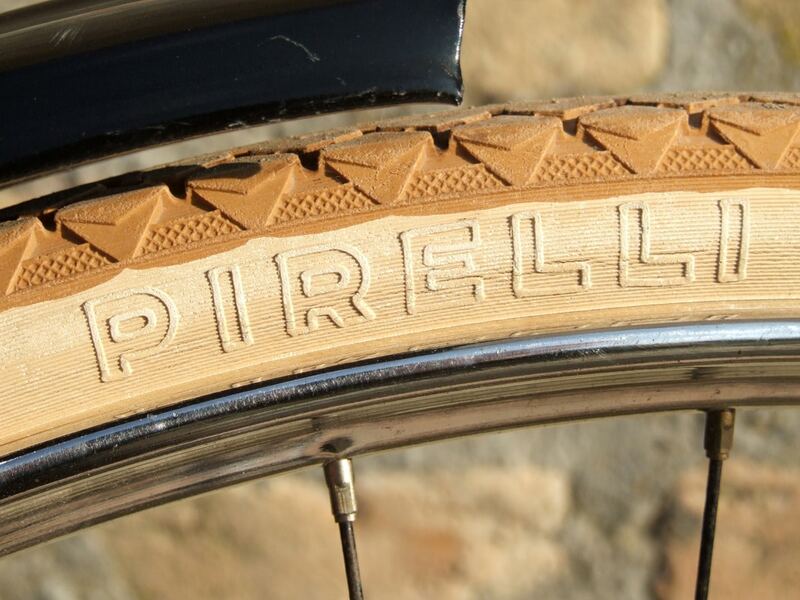 You can see by the photos below that the tyres are by Pirelli and the original leather saddle is by Aquila.....although it does appear that the leather saddle has been re-upholstered (new stitching). 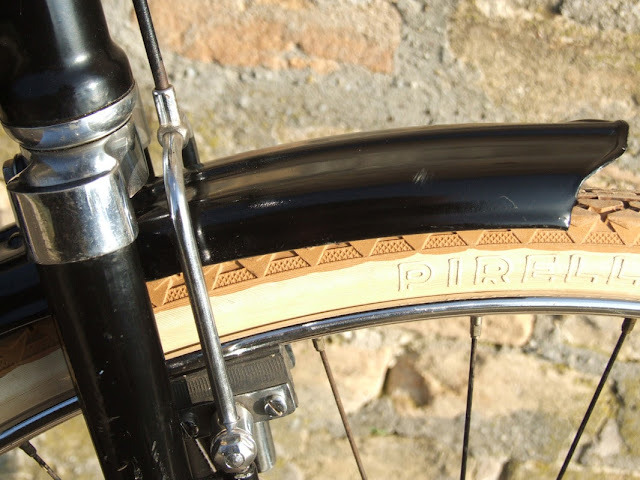 The Westwood profiled chrome rims are slowed down with rod brakes that are fitted to the frame. 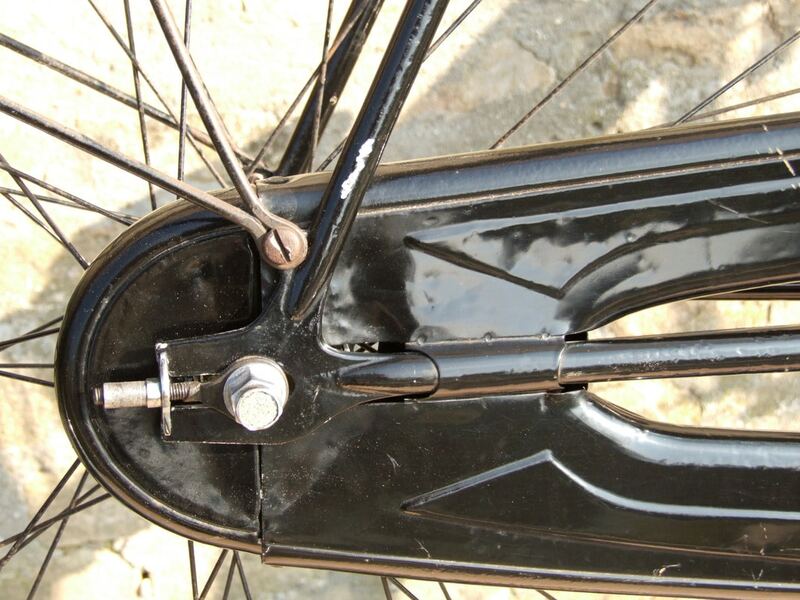 Of course rod brakes force a rider to plan their journey wisely. There's no stopping in an emergency here!!! 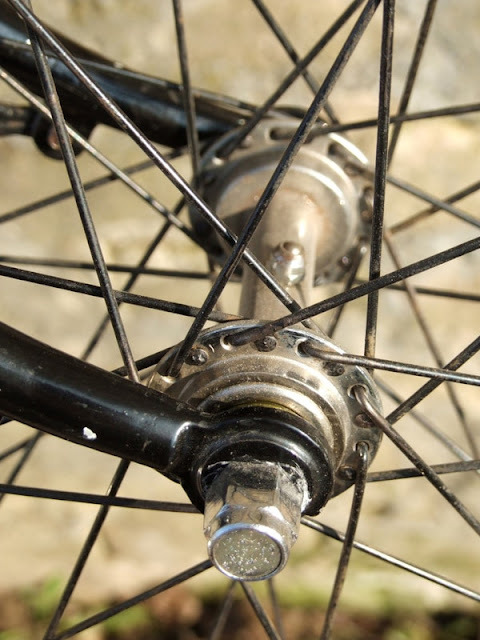 Rod brakes aren't very effective and you'll need at least 10-15 metres of clear level roadway in front of you to brake safely on a dry day. 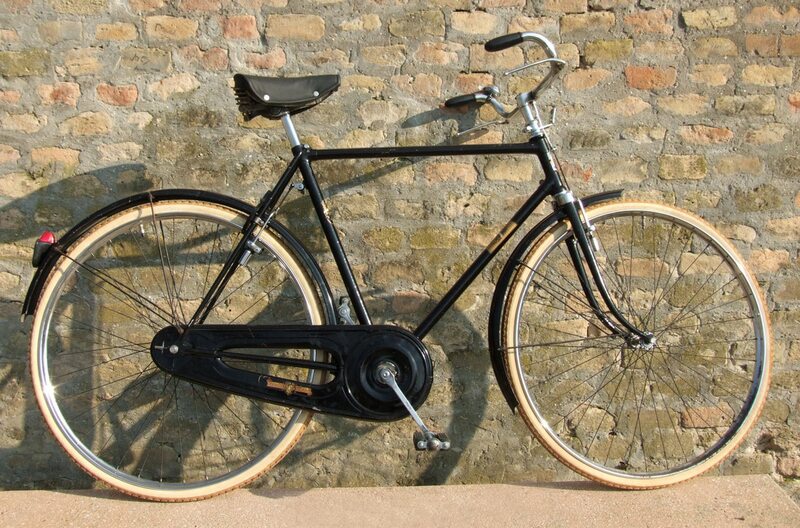 Riding this bike in the hills on a wet day would be lethal! Don't even bother throwing gravel into the equation as was usually the case in the 1940's. 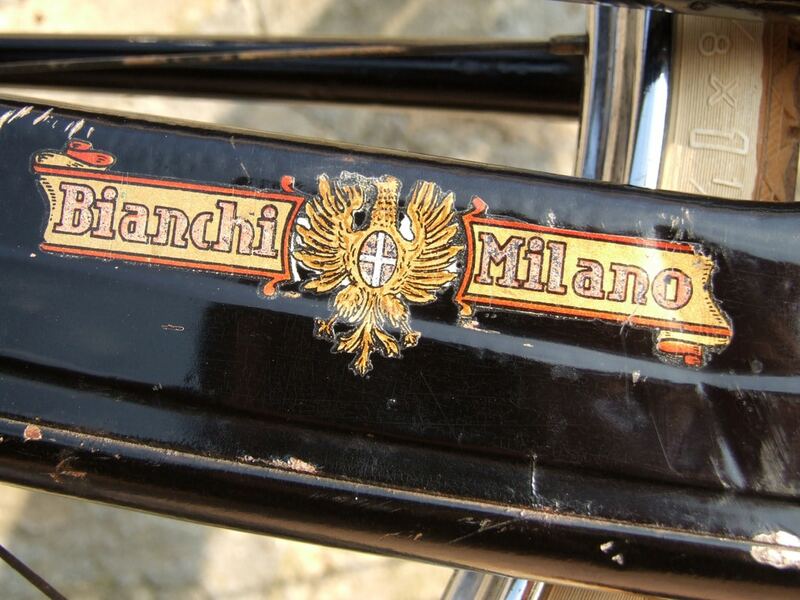 Bianchi decal on chain case. 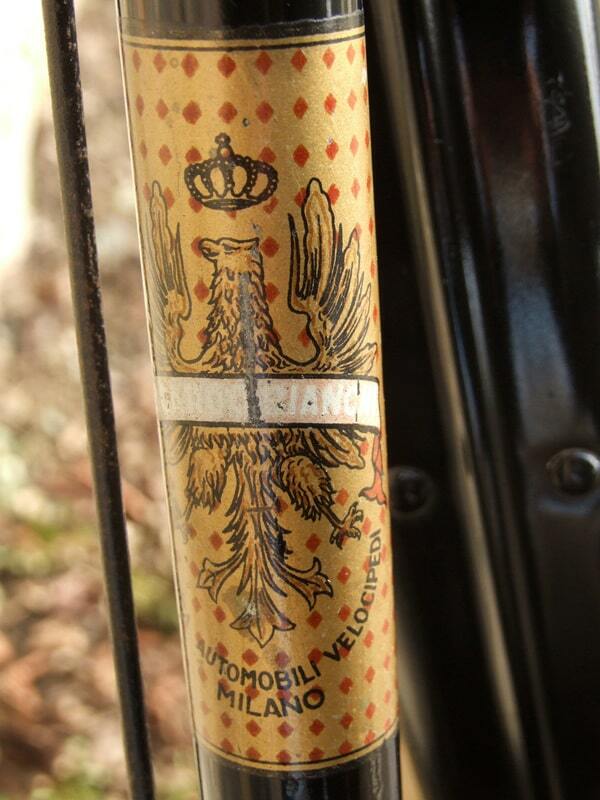 Not many of these have made it to Australia so you'll need a lot of luck to acquire one from a garage sale. 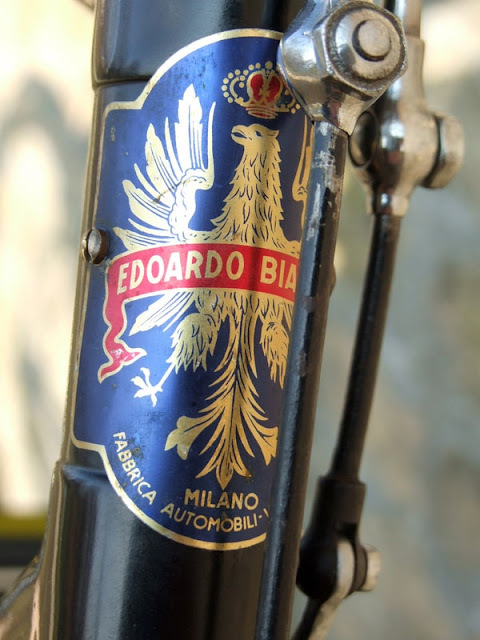 Given its manufacture date of 1949 this all original example is in exceptionally good condition and would be a pleasure to ride along a coastal boulevard in the spring time. 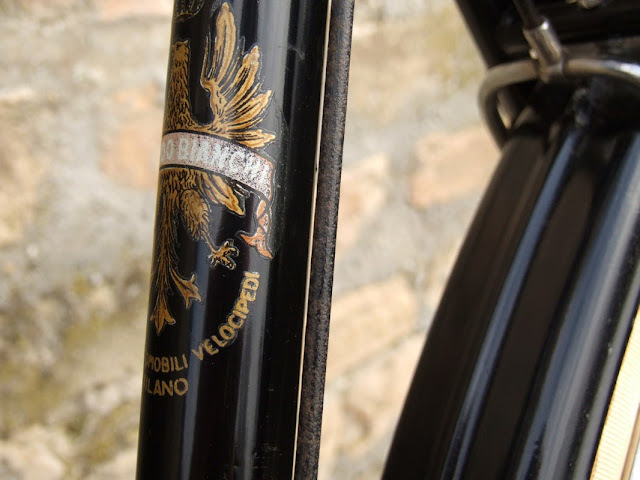 Labels: 1949 Bianchi, Bianchi Zaffiro, Italian town bike.